'Nosferatu' on Tuesday, Oct. 31 nearing sell-out status at Red River Theatres in Concord, N.H.
A highly stylized poster for 'Nosferatu,' which translates from Greek as "Carrier of Plague." And now for this year's final Halloween silent film screening: the vampire classic 'Nosferatu' (1922) on Halloween night itself (Tuesday, Oct. 31) at Red River Theatres in Concord, N.H.
Showtime is 7:30 p.m.; live music is by yours truly. More info than you can shake a stake at is in the press release below. For now, let me say that the Red River folks report strong advance ticket sales, so we're hoping for a full house. That's terrific because we're running 'Nosferatu' in one of Red River's two larger theaters rather than the smaller screening room. So, many thanks to the folks at Red River for continuing to include silent film with live music in their diverse offerings. And while I'm at it, thanks to a local newspaper, The Telegraph of Nashua, N.H., for putting our show on the cover of a recent edition of "Encore," their weekly entertainment guide. Yes, my mother was thrilled to open our hometown newspaper to see her son's picture featured prominently next to the word "CREEPY." Wow! Never thought I'd be part of a centerfold, but that's show biz! 'Nosferatu' gets quite a bit of play this time of year, for obvious reasons. And let me confess I'm a bit jealous that Nosferatu himself has been making in-person appearances this year at screenings accompanist by my silent film colleagues in other parts of the country. In at least one case, the creature summoned his supernatural powers to appear at two separate screenings at the same time. He was everywhere—kind of like Santa Claus on Christmas. So as this Halloween draws nigh, I'm starting to feel like a kid before Christmas—the kind who wonders if Santa might be passing me by for some reason. Although because it's Nosferatu, in this case I have to wonder if I've been bad enough during the past year. Have I somehow not done enough evil? Please, Mr. Nosferatu—don't forget us on Halloween night at Red River Theatres in Concord. As a musician, surely I've done enough bad things in the past year to warrant an appearance! And if that's not enough, Concord is our state's capital, so there's a good chance some state legislators and even actual lawyers will be in the audience. Surely they're your kind of people, no? And even if he doesn't show in person, we'll have him on the big screen with live music on Halloween night. Details below! CONCORD, N.H.—Get into the Halloween spirit with a classic silent horror film! 'Nosferatu' (1922), the first screen adaptation of Bram Stoker's novel 'Dracula,' will be screened with live music on Halloween night, Tuesday, Oct. 31 at 7:30 p.m. at Red River Theatres, 11 South Main St., Concord, N.H. Admission is $12 per person. The film will by accompanied by live music performed by New Hampshire-based silent film musician Jeff Rapsis. 'Nosferatu' (1922), directed by German filmmaker F.W. Murnau, remains a landmark work of the cinematic horror genre. It was among the first movies to use visual design to convey unease and terror. To modern viewers, the passage of time has made this unusual film seem even more strange and otherworldly. It's an atmosphere that silent film accompanist Jeff Rapsis will enhance in improvising live music on the spot for the Red River screening. "The original 'Nosferatu' is a film that seems to get creepier as more time goes by," said Rapsis, a resident of Bedford, N.H. "It's a great way to celebrate Halloween and the power of silent film to transport audiences to strange and unusual places." In 'Nosferatu,' actor Max Schreck portrays the title character, a mysterious count from Transylvania who travels to the German city of Bremen to take up residence. In the town, a rise in deaths from the plague is attributed to the count's arrival. Only when a young woman reads "The Book of Vampires" does it become clear how to rid the town of this frightening menace. Director Murnau told the story with strange camera angles, weird lighting, and special effects that include sequences deliberately speeded up. Although 'Nosferatu' is suitable for all family members, the overall program may be too intense for very young children to enjoy. 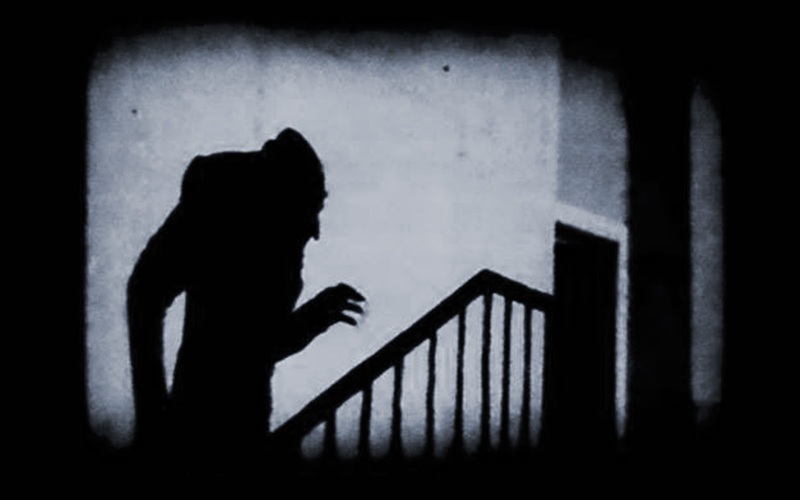 In 'Nosferatu,' director Murnau made use of shadows and other then-unusual visual techniques to create atmosphere and tell the story. Modern critics say the original 'Nosferatu' still packs a powerful cinematic punch. “Early film version of Dracula is brilliantly eerie, full of imaginative touches that none of the later films quite recaptured,” Leonard Maltin wrote recently. Despite the status of 'Nosferatu' as a landmark of early cinema, another scary aspect of the film is that it was almost lost forever. The film, shot in 1921 and released in 1922, was an unauthorized adaptation of Stoker's novel, with names and other details changed because the studio could not obtain rights to the novel. Thus "vampire" became "Nosferatu" and "Count Dracula" became "Count Orlok." After the film was released, Stoker's widow filed a copyright infringement lawsuit and won; all known prints and negatives were destroyed under the terms of settlement. However, intact copies of the the film would surface later, allowing 'Nosferatu' to be restored and screened today as audiences originally saw it. The image of actor Max Schreck as the vampire has become so well known that it appeared in a recent 'Sponge Bob Squarepants' espisode. 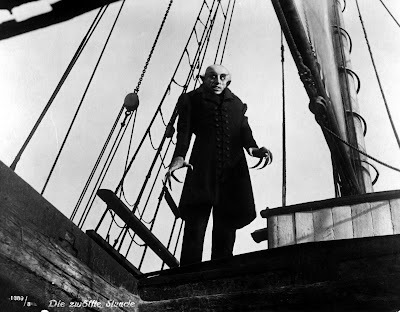 ‘Nosferatu’ will be shown on Tuesday, Oct. 31 at 7:30 p.m. at Red River Theatres, 11 South Main St., Concord, N.H. Admission is $12 per person. For more info, visit www.redrivertheatres.org. or call (603) 224-4600. For more about the music, visit www.jeffrapsis.com. Sorry for the last minute change, but we will be unable to show 'Häxan' (1922) at today's silent film screening at the Wilton Town Hall Theatre in Wilton, N.H.
As a last-minute substitute, we'll be running the horror classic 'The Cat and the Canary' (1927) at today's show, which starts at 4:30 p.m. and is free to the public. And I'll try to get 'Häxan' rescheduled for a screening in the next couple of weeks. Stay tuned. For now, just wanted to get out word of this last-minute substitution. Apologies for any disappointment—it's certainly not my intention to rile up fans of witchcraft and sorcery. Happy Halloween to all despite this unfortunate hiccup. The moveable Halloween silent film marathon continues with shows through this weekend in Maine, New Hampshire, and Massachusetts. A big one, I think, will be the annual "Chiller Theatre" show on Saturday at the Leavitt Theatre in Ogunquit, Maine. It's called "Chiller Theatre" because Ogunquit being a seaside resort, the summer-only moviehouse lacks central heating. But that doesn't stop us from programming a silent film show for the Saturday before Halloween, and this year is no exception. This time around, it's John Barrymore in 'Dr. Jekyll and Mr. Hyde' (1920) on Saturday, Oct. 28 at 7 p.m. Complete details in the press release below. I love going out to Ogunquit for our annual "Chiller Theatre" show because although it's the off-season, Ogunquit's small downtown is usually rocking with Halloween parties. And as Ogunquit is a gay-friendly community and home to a regional theater, more effort than usual is put into costumes that can often be utterly amazing. So I go out early to get dinner and just enjoy the show, which even on the sidewalks can be spectacular as people parade about in their Halloween finest. I recall one year watching a very tall man in a spectacular drag outfit, tottering along in what had to be six-inch heels and getting his wig caught in storefront awnings. But back to 'Dr. Jekyll and Mr. Hyde,' which is highlighted by a different kind of transformation. Let me say here that 'Jekyll' is my choice for this year's "under-appreciated creepy silent film that should get more play at Halloween." The reason for this is even with dozens of great silents that would work well for Halloween, the same two films get shown over and over again: 'Nosferatu' (1922) and 'Phantom of the Opera' (1925). Nothing wrong with those, but it's like anything. Too much of a good thing can be...well, not exactly wonderful, despite what Mae West once said. So each season, I try to bring something different to the Halloween circuit: a film worthy of the occasion but not really shown very often. Previous selections have included Alfred Hitchcock's thriller 'The Lodger' (1927) and Paul Leni's haunted house comedy/drama 'The Cat and the Canary' (1927). 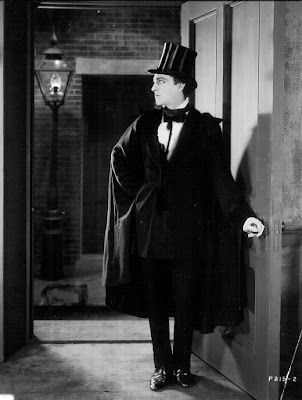 This year, I felt it was time to dust off the 'Jekyll' film, which is highlighted by Barrymore's on-screen full-body transformation from the austere Dr. Jekyll into the depraved Mr. Hyde. In presenting it, I remind people that Barrymore's performance pre-dated any kind of sophisticated special effects, so his on-screen transformation is all the more remarkable for how much of it is accomplished just using his body and facial expressions. Also, audiences at the time would have been conditioned by decades of touring stage productions, in which whomever played the title role would have no choice but to make the transformation right there in front of everyone. Unlike today, no one in a movie audience assumed special effects would do the heavy lifting. Although a few primitive cross-fades/dissolves are used in the movie, at the time there was an expectation that an actor would do most of the work. And on that score, Barrymore comes through big time. As a stage actor, he knew how to deliver the goods. Here's a nice analysis of the transformation scene that gets into detail and provides a lot of context. Enjoy! And hope you and all your personalities can join us this Saturday night at the Leavitt for 'Dr. Jekyll and Mr. Hyde.' One admission price for all your identities! John Barrymore as Dr. Jekyll. OGUNQUIT, Me.—It was first a best-selling novel, then an immensely popular stage play. So it was just a matter of time before the movies tackled 'Dr. Jekyll & Mr. Hyde,' Robert Louis Stevenson's classic tale of a man tortured by two personalities—one thoroughly good and the other completely evil. 'Dr. Jekyll & Mr. Hyde' (1920), the original silent film adaptation of Stevenson's classic story, will be shown on Saturday, Oct. 28 at 7 p.m. at the Leavitt Theatre, 259 Main St. Route 1, Ogunquit, Maine. Admission is $10 per person, general seating. Starring iconic actor John Barrymore, the film was a huge early hit for Paramount Pictures. It helped establish the "thriller" genre and showed the potential of the movies to vividly tell disturbing and creepy stories. Dr. Jekyll, a London physician and philanthropist, becomes fascinated with the dual nature of man after the profligate Sir George Carew exposes him to temptation. When Jekyll invents a potion that separates the good from the evil in a person, he decides to live both roles and names the evil persona Mr. Hyde. Jekyll is in love with Millicent, the daughter of Sir George; meanwhile, Hyde prowls the poorer districts of London, debases and discards Theresa, a dance hall performer. Jekyll's control over Hyde weakens gradually to the point where his alter ego resorts to murder, forcing Hyde into a showdown to save his loved ones and reign in the evil he himself has spawned. The film put Barrymore, a noted stage actor, on the cinematic map. Following 'Dr. 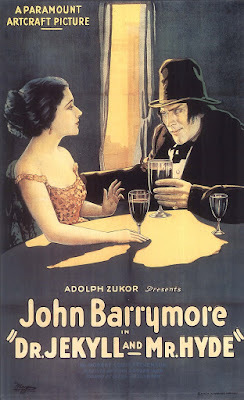 Jekyll & Mr. Hyde,' Barrymore would go on to be one of the biggest stars of early cinema. His handsome visage, dubbed "the great profile," was instantly recognizable to movie-goers of the time, who flocked to see Barrymore in later films such as 'Sherlock Holmes' (1922), 'Don Juan' (1926), and 'The Beloved Rogue' (1927). Barrymore's performance in 'Dr. Jekyll & Mr. Hyde' is noteworthy in part because, in an era of limited special effects, his portrayal of the early stages of Jekyll's transformation was done using only facial expressions and gestures. Make-up was only used later in the film following the full transformation of the Hyde character. Stevenson's story has been refilmed many times, including versions in 1931 and 1941, and was most recently remade in 2008 as a TV movie starring Dougray Scott. In screening the original 'Dr. Jekyll & Mr. Hyde,' the Brandon Town Hall aims to recreate all essential elements of silent film experience: high quality prints shown on a large screen, with live music and an audience. "These films caused people to fall in love with the movies for a very good reason," said Jeff Rapsis, who will improvise a musical score during the screening. "They were unique experiences, and if you can recreate the conditions under which they were shown, they have a great deal of life in them. "Though they're the ancestors of today's movies, silent film is a very different art form than what you see at the multiplex today, so it's worth checking out as something totally different," Rapsis said. Rapsis performs on a digital synthesizer that reproduces the texture of the full orchestra and creates a traditional "movie score" sound. ‘Dr. Jekyll & Mr. Hyde' will be shown on Saturday, Oct. 28 at 7 p.m. at the Leavitt Theatre, 259 Main St. Route 1, Ogunquit, Maine. Admission is $10 per person, general seating. For more information, visit www.leavittheatre.com or call (207) 646-3123. For more about the music, visit www.jeffrapsis.com. Coming up next: live music for 'The Man Who Laughs' (1928), one of the truly great silent films for Halloween. Nothing wrong with perennial favorites 'Nosferatu' and 'Phantom.' But if I had my way, 'The Man Who Laughs' would screen just as often. Never seen it? You chance is coming this week: it's playing on Wednesday, Oct. 25 at 7 p.m. at the Regent Theatre in Arlington, Mass. Actually, I think 'The Man Who Laughs' is a great film for any time of the year. It's a truly skillful adaptation of an underrated Victor Hugo novel. And the title character seems tailor-made for silent film: a man whose disfigured face forces him to display an insane grin no matter what tragedy befalls him. Talk about visuals! 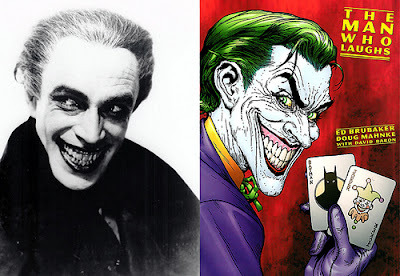 The film's principle drawing card for today's audiences is that the make-up job for the title character, played by Conrad Veidt, inspired the look of Batman's nemesis, the Joker. But 'The Man Who Laughs' is not just a make-up job. It's full of strong performances, starting with Veidt, who gives it his all in a role that must have been a challenge to realize. The supporting cast is equally strong, and generously salted with odd-ball character actors that director Paul Leni often employed. Even Mary Philbin, as the blind Dea, redeems herself from her 'Phantom' over-acting with a remarkably nuanced performance. And the story really taps into the big emotions that drive the greatest silent films: love with a capital L, fear, jealousy, joy, greed, and so much more. So I invite you to join us for 'The Man Who Laughs' at the Regent, a fantastic neighborhood theater and performance space that's an ideal venue for silent film to be seen at its best. A few notes from the road. Lately, if my life were a Dr. Seuss book, it would be "Oh, The Places You'll Go!" Really: with Halloween coming up fast, the past five days have taken me to silent film screenings in all kinds of venues. How about a town office complex in Jacksonville, Vermont? And how about the newly renovated Natick Center for the Arts in Natick, Mass.? In a break from the Halloween programming, the folks in Natick opted for a Charlie Chaplin comedy program to launch what's hoped to be a regular silent film/live music series. It's about the right size, and the projection system is top notch. I didn't make use of it as I had already set up my digital synthesizer for the Chaplin program. But I spent some time getting to know the Yamaha, and it's like driving a Porsche. I look forward to working with it for future programs if the opportunity arises. ARLINGTON. Mass.—'The Man Who Laughs' (1928), a classic silent film thriller, will be screened with live music on Wednesday, Oct. 25 at 7 p.m. at the Regent Theatre, 7 Medford St., Arlington, Mass. General seating admission is $12 per person in advance or day of show. Live music will be provided by Jeff Rapsis, a New Hampshire-based silent film accompanist. 'The Man Who Laughs,' directed by Paul Leni and starring Conrad Veidt, is a silent thriller about a disfigured man forced to wear an insane grin all his life. The movie was a popular and ground-breaking silent film adaptation of a sprawling Victor Hugo novel set in 17th century England. Veidt stars as Gwynplaine, a child born of English nobility. After his father is executed, a cruel King James II orders a royal surgeon to hideously disfigure young Gwynplaine's face into a permanent smile, so that he may always laugh at his father's foolishness. Abandoned and shunned, young Gwynplaine is left to make his way on his own. 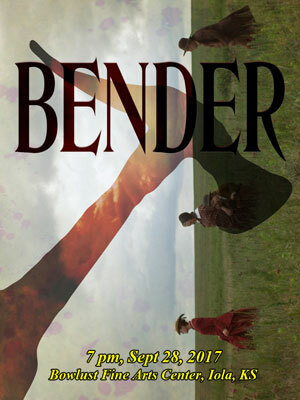 He learns to conceal his face from strangers, befriending Dea, a blind girl who is not aware of his disfigurement. The pair are then adopted and put to work by a travelling impresario, who makes use of Gwynplaine's startling face in his theatrical productions. Gwynplaine and Dea grow to adulthood and eventually fall in love, but complications arise when Gwynplaine's noble lineage is revealed, entitling him to his father's estate—provided he marry another woman of noble birth. Veidt, who starred earlier in the German expressionist horror classic 'The Cabinet of Dr. Caligari' (1919), played the role of Gwynplaine by using a prosthetic device inside his mouth to force his face into a hideous grin and display outsized teeth. Critics have praised 'The Man Who Laughs' for its dark visual style and daring story content. "'The Man Who Laughs' is a melodrama, at times even a swashbuckler, but so steeped in Expressionist gloom that it plays like a horror film," wrote Roger Ebert in 2004. "The film is more disturbing than it might have been because of Leni's mastery of visual style." Director Leni, originally trained as an artist, made ample use of shadows and darkness in 'The Man Who Laughs,' which set the stage for many legendary Universal horror classics soon to follow, including 'Dracula' (1931) and 'Frankenstein' (1931). • Friday, Jan. 26 at 7 p.m., 'The Wizard of Oz' (1925). Early silent film version of Frank L. Baum's immortal tales features silent comedian Larry Semon in a slapstick romp that also casts Oliver Hardy as the Tin Man and takes extreme liberties with the beloved classic tales and characters. Oz as you've never seen it before! 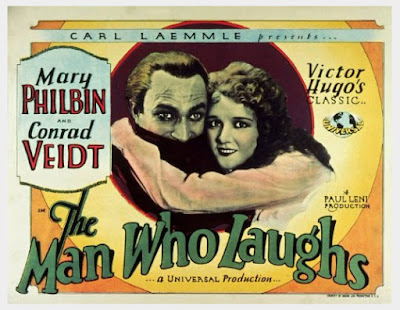 'The Man Who Laughs' (1928) will be screened on Wednesday, Oct. 25 at 7 p.m. at the Regent Theatre, 7 Medford St., Arlington, Mass. General seating admission is $12 per person in advance or day of show. Tickets may be booked online at www.regenttheatre.com. For more information, call the theater at (781) 646-4849. Wednesday night it was Vermont. Last night it was Massachusetts. And tonight it's Maine, and Saturday night it's Vermont again. In what's become an annual tradition, the latter half of October finds me bombing all over rural (and urban) New England, presenting spooky silent film programs with live music in libraries, theaters, and community halls. And the down side? Well, there is no down side. I love doing this—as an outlet for creativity that provides immediate feedback, it's become my therapy. This year's pre-Halloween marathon does have one odd detour: a Chaplin program on Sunday, Oct. 22 at the Center for the Arts in Natick, Mass. It's a new venue for me, and possibly the start of a new series. Despite it being high 'Nosferatu' season, organizers felt the best way to open was with Chaplin. So we're running the original release version of 'The Kid' (1921). 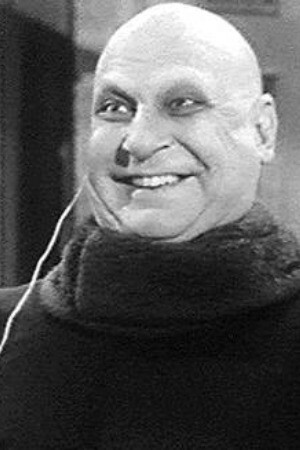 I suppose there is a Halloween connection to this film, as Chaplin's young costar Jackie Coogan would later play a prominent role as "Uncle Fester" in the ghoulish 'Addams Family' sitcom. If you're in the Boston area and need a break from the run-up to Halloween, consider joining us. A press release is below. And now, I hope you'll excuse me as I prepare to head north to paper mill country for tonight's screening of 'The Man Who Laughs' (1928) in the Tuscan Opera House in Dixfield, Maine. For true groupees, check out my complete schedule by clicking "Upcoming Silent Film Screenings" at upper right. Chaplin, Coogan, and Cop in 'The Kid' (1921). NATICK, Mass.—Silent film with live music comes to the Center for the Arts with a screening of Charlie Chaplin's classic comedy/drama 'The Kid' (1921) on Sunday, Oct. 22 at 7:30 p.m. Tickets are $12 for the general public, $10 for members. The special program will be presented with live music by silent film accompanist Jeff Rapsis. Presented by the Center of the Arts, 14 Summer St., the program enables audiences to experience silent film in the way its makers originally intended: on the big screen, with live music, and with an audience. The program is family-friendly and suitable for audience members of all ages. Chaplin was already the world's most popular comedian and filmmaker when he produced 'The Kid,' his first feature-length project. The movie, with its daring mix of intense drama and slapstick comedy, proved an instant sensation and marked one of the high points of Chaplin's long career. 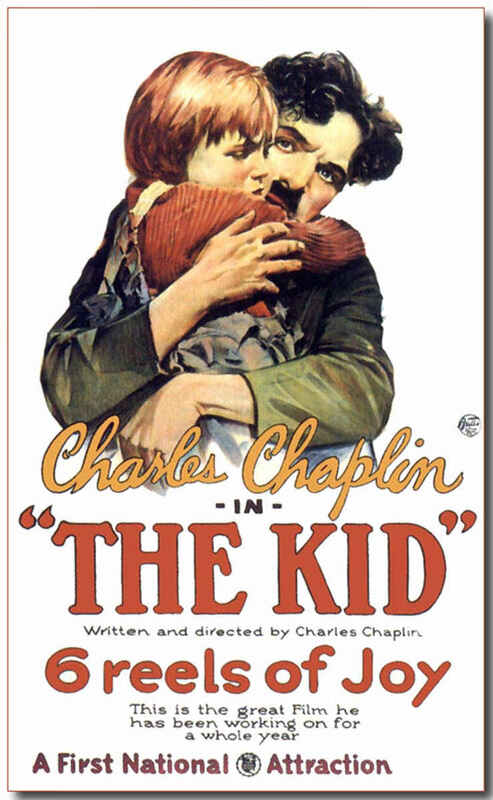 'The Kid' follows the story of a tramp (Chaplin) who attempts to raise an orphaned boy on his own. 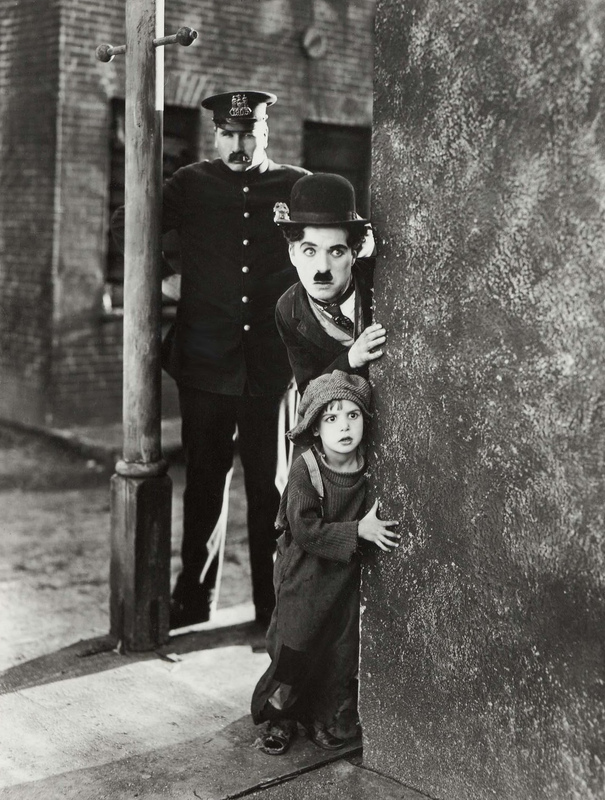 It includes several classic scenes, and is highlighted by a sequence in which Chaplin battles authorities attempting to return the child to an orphanage. Co-starring with Chaplin in 'The Kid' is five-year-old Jackie Coogan, who turned in what many critics rank as the best child performance of the entire silent film era. 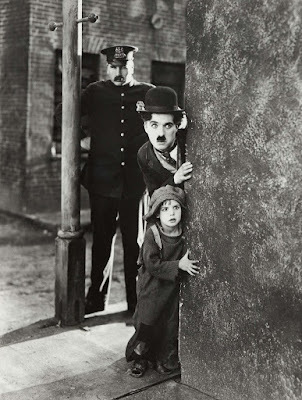 Chaplin himself worked closely with the young Coogan for more than a year to develop the youngster's acting abilities. Coogan went on to a long career that much later included the role of "Uncle Fester" in the popular 1960s Addams Family television show. 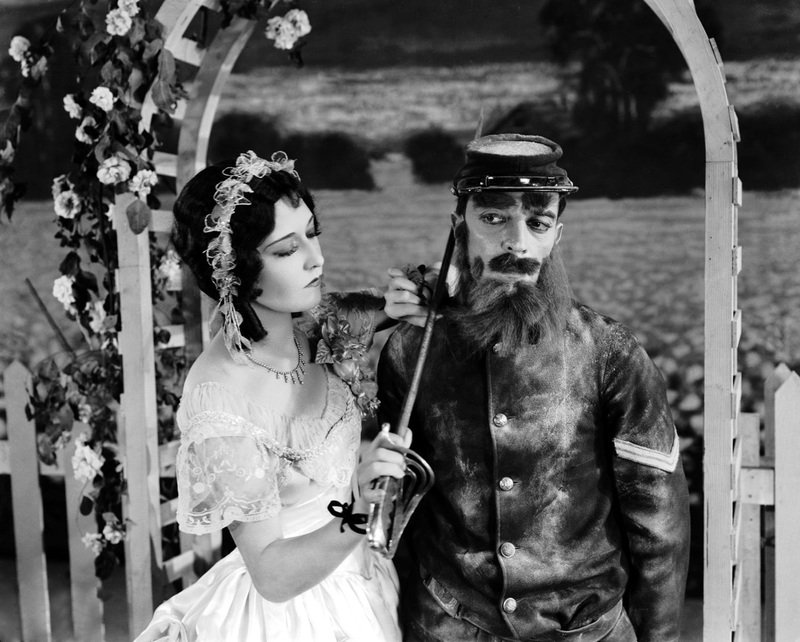 The screening of 'The Kid' provides local audiences the opportunity to experience silent film as it was intended to be shown: on the big screen, in restored prints, with live music, and with an audience. "If you can put pieces of the experience back together again, it's surprising how these films snap back to life," said Rapsis, a New Hampshire-based silent film accompanist who creates music for silent film screenings at venues around the country. "By showing the films under the right conditions, you can really get a sense of why people first fell in love with the movies." In creating music for silent films, Rapsis performs on a digital synthesizer that reproduces the texture of the full orchestra and creates a traditional "movie score" sound. 'The Kid' will be preceded by 'A Dog's Life' (1918), one of Chaplin's earlier short comedies that helped establish his worldwide popularity. 'The Kid' (1921) starring Charlie Chaplin and Jackie Coogan, will be screened with live music on Sunday, Oct. 22 at 7:30 p.m. at The Center for Arts in Natick, 14 Summer St., Natick, Mass. For more info, call (508) 647-0097 or visit www.natickarts.org. For more info about the music, visit www.jeffrapsis.com. A scene from 'Der Golem' (1920). Put this one in the category of "aging ungracefully." It's 'Der Golem' (1920), a German silent film adaptation of the Jewish 'Golem' folk legend. And it's prompted some thoughts about how the film is indeed scary—but not for the reasons you might think. 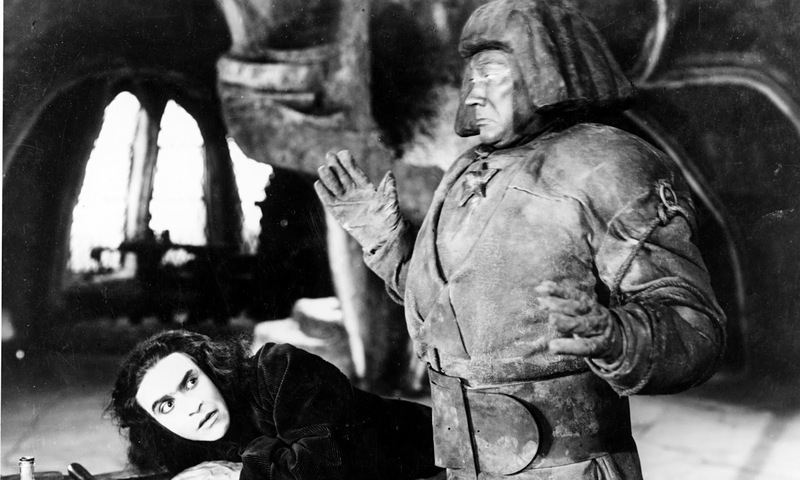 Widely regarded as ancestor to the big screen version of 'Frankenstein' (1931), the silent 'Golem' enjoys a reputation as a pioneering horror film. For those not up on Jewish folklore of 16th century Prague: the film tells the story of a local Rabbi who protects his people from persecution by create a large soldier-like figure out of clay. The Rabbi then uses sorcery to bring the figure to life—but then things go wrong. Like the monster in Mary Shelley's 'Frankenstein' tale, unexpected consequences ensue. 'Der Golem' features weird expressionist visual designs, so it's always been a good movie for this time of year. It looks like a Halloween film. But the big reason the film is truly chilling, I think, is how German filmmakers characterized Jews on screen in the decade leading up to Hitler's rise to power in 1933. Consider: right at the start, the film's prologue repeats the anti-Semitic claim about how Jews were responsible for Christ's suffering and death on the cross. And in the story, rabbis are depicted as wizards who wear pointy sorcerer hats who traffic in astrological superstition, concoct magic potions, and have dealings with the underworld. It's true that in 'Der Golem,' non-Jews don't come off much better: in one scene, crowds of Gentiles openly laugh at the story of Moses leading the Hebrews out of Egypt, which brings down immediate physical wrath. But it's stunning to see how a film made in Germany at that time could depict Jews essentially as cartoon characters—not quite sub-human, but certainly "different" from the rest of us "normal" people. And to me, it's our knowledge of what would soon happen that makes 'Der Golem' really, really frightening. Watching it, and seeing the wild caricatures baked so casually into it, provides an unintentional first-hand look at attitudes that would fuel the coming Holocaust. I realize 'Der Golem' was not intended as a propaganda film. its agenda is not to dehumanize Jews. But that's exactly what makes it so frightening today—knowing what we know now, we see things that are far more telling that anything the filmmakers intended. And it's really frightening: a vision of evil that shows how real it can be, and also how commonplace. This is one of the great values of older cinema, I think: its ability to show us first-hand attitudes and ideas of a bygone era. And one more point: although some may find the characterization of Judaism offense in 'Der Golem,' that doesn't mean it shouldn't be shown. On the contrary: nearly a century after its release, 'Der Golem' can help us understand past prejudices, and also help us examine our own times. Just as the Rabbi breathes life into his clay figure, 'Der Golem' can breathe life into the commonplace nature of prejudice. With our knowledge of history, we can see how it unknowingly depicts the circumstances and attitudes that would soon lead to one of humanity's worst episodes. Having said all that, it's still a well-made film and worth catching, especially if you need to jump start your Halloween season. 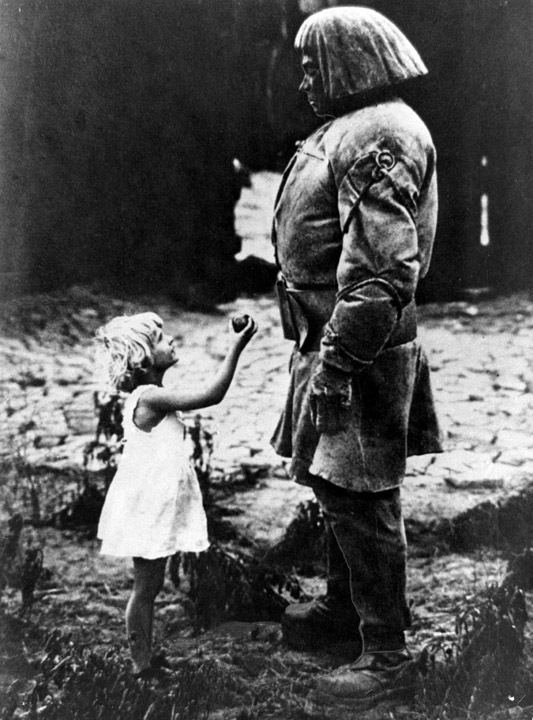 From 'Der Golem': director Paul Wegener, who also plays the title role, encounters a little girl. ARLINGTON, Mass.—'The Golem' (1920), a German film about a man made of clay and brought to life, will be screened with live music on Thursday, Oct. 19 at 8 p.m. at the Capitol Theatre, 204 Massachusetts Ave., Arlington, Mass. The film will be accompanied live by silent film musician Jeff Rapsis. Admission is $12 adults, $10 kids and seniors. In 'The Golem,' set in 16th century Prague, a Rabbi creates a giant human-like figure from clay, called the Golem. Using sorcery, the Rabbi brings the creature to life in order to protect local Jews from persecution. But the experiment gets out of hand, with the Golem imperiling the very community he was created to protect. "Taking in a film such as 'The Golem' is a good way to get in the mood for Halloween," Rapsis said. 'The Golem,' directed by Paul Wegener, uses surrealistic sets and lighting to create an eerie mood. The story is taken from a medieval Jewish legend. In addition to directing, Wegener appears in the film as 'The Golem' when the clay creature is brought to life. 'The Golem' was sensational upon its release and has left a lasting legacy within the movie industry, alongside another early German expressionist horror film, 'The Cabinet Of Dr. Caligari' (1920). Architect Hans Poelzig designed the sets, a reproduction of the medieval Jewish ghetto of Prague. He created them specifically for the movie camera, using highly expressionist imagery. The cinematography of Karl Freund, in collaboration with Poelzig and Wegener, is cited as one of the most outstanding examples of German Expressionism of Weimar period cinema. The film anticipated many subsequent "monster" movies, including the original 'Frankenstein' (1931) starring Boris Karloff. 'The Golem' will be accompanied by live music by Jeff Rapsis, a New Hampshire-based silent film accompanist who performs at venues across the region and beyond. "Films such as 'The Golem' were created to be shown on the big screen and in a theater as a shared experience," Rapsis said. "With an audience and live music, they still come to life in the way their makers intended them to. "So the Capitol Theatre's silent film screenings are a great chance for people to experience films that caused people to first fall in love with the movies," he said. 'The Golem' is the latest in an monthly series of great silent films with live music at the Capitol Theatre. The series provides local audiences the opportunity to experience silent film as it was intended to be shown: on the big screen, in good-looking prints, with live music, and with an audience. 'The Golem' (1920) will be shown on Thursday, Oct. 19 at 8 p.m. at the Capitol Theatre, 204 Massachusetts Ave., Arlington, Mass. time for a 'Nosferatu' screening! Among other things, needing a good manicure. With Halloween looming like a harvest moon, the latter half of October is the busiest time of the year for a silent film accompanist. Why? Because it's prime time for people to seek out the out-of-the-ordinary. And for many, silent film is strange enough to be the medium for the season of spook. And so I have something like 12 shows in the two weeks leading up the Halloween. Which is great! The most popular titles are 'Nosferatu' (1922) and 'Phantom of the Opera' (1925)—and yes, I'm doing music for each of them at a handful of screenings. Every October, however, I try to focus on a relatively neglected film that I think would work well, especially this time of year. This cycle, it's the John Barrymore version of 'Dr. Jekyll & Mr. Hyde' (1920), which I'm doing in several venues. There's also a couple of 'Man Who Laughs' (1928) thrown in, and a 'Häxan' (1922) for good measure as well. But it all kicks off this weekend, on Sunday, Oct. 15 with a screening of 'Nosferatu' at the Aeronaut Brewery in Somerville, Mass. The fun—and fear—begins at 8 p.m. More info in the press release below. Hope to see you there! 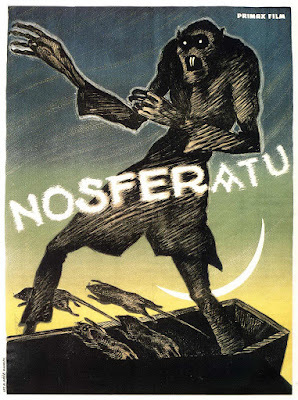 Nosferatu: poster child for Halloween—literally! SOMERVILLE, Mass.—Get into the Halloween spirit with a classic silent horror film! 'Nosferatu' (1922), the first screen adaptation of Bram Stoker's novel 'Dracula,' will be screened with live music on Sunday, Oct. 15 at 8 p.m. at the Aeronaut Brewing Co., 14 Tyler St. (near Union Square), Somerville, Mass. This special screening with live music is open to the public and is part of the Aeronaut's commitment to be a showcase for local music, art, and performance. The film will include live music performed by New Hampshire-based silent film accompanist Jeff Rapsis. It's an atmosphere that silent film accompanist Jeff Rapsis will enhance in improvising live music on the spot for the screening at the Aeronaut. For more info, visit www.aeronautbrewing.com. For more about the music, visit www.jeffrapsis.com. Haven't had your regular dose of Soviet cinema? Well, the Harvard Film Archive can fix you right up. On Monday, Oct. 9, they're running 'Storm Over Asia' (1928). Part of a "Cinema That Shook The World" mini-series, it's a remarkable picture from director Vsevolod Pudovkin. It's actually the climactic third part of Pudovkin's "revolutionary trilogy", alongside 'Mother' (1926) and 'The End of St. Petersburg' (1927). Showtime is 7 p.m. at the Archive, located at 24 Quincy St. in Cambridge, Mass. 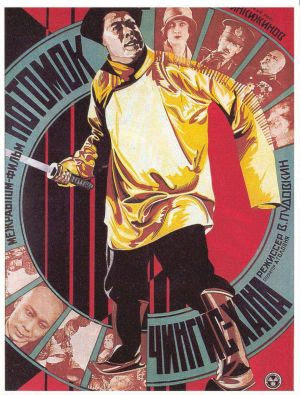 It wouldn't be a Soviet film without a cigar-chomping capitalist/imperialist, here played by Viktor Tsoppi. I'm posting this preview/plug because 'Storm Over Asia,' also known as 'The Heir to Genghis Khan,' is a rarely screened title. I wasn't familiar with it, but it's made a very strong impression on me in previewing it. I don't want to spoil anything, but the last 20 minutes of this two-hour movie are some of the most visually exciting and dramatic silent cinema I've ever encountered. I'm really looking forward to seeing it on the big screen via the 35mm print the Harvard Film Archive is running. 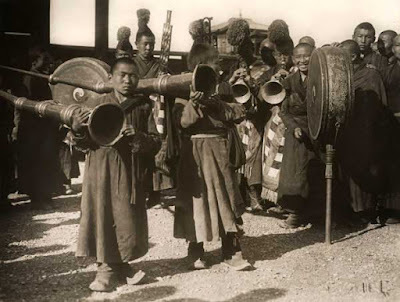 Set (and filmed) on the remote steppes of Central Asia and in Mongolia, 'Storm Over Asia' offers great potential for music, too. Several sequences show elaborate Buddhist ceremonies, often on a grand scale, and all accompanied by hordes of on-screen musicians. Originally, I planned to keep things simple and use the Harvard Film Archive's grand piano, as I've been working a lot lately with acoustic keyboard in live performance. But 'Storm Over Asia' really demands a more exotic and dramatic soundtrack. So I'll be hauling in the digital synthesizer and going for some fairly exotic textures. And speaking of "storm"—Monday's forecast calls for rain all day in our part of the world, meaning New England. But save Columbus Day from being a total washout by joining us for this worthy (and indoor) activity. More details online. Hope to see you there! From the stage: attendees of the 24th and last-ever Buster Keaton Celebration in Iola, Kansas on Saturday, Sept. 30, 2017. They still called it a "Celebration," same as always. But it was also the end of a tradition. So something else was at work—something unspoken, and on the edges, but definitely present. That was the mood, I felt, at the final Buster Keaton Celebration, a long-running annual gathering held each September in Iola, Kansas, not far from Buster's birthplace. It's been my privilege to attend several past editions of this festival. And for this final year, it was a special honor to be invited to accompany some of the films being shown. But after a quarter-century of celebrating the most silent of the great silent clowns, this was it—as it says at the finish of nearly every movie: "The End." So here's my own idiosyncratic wrap-up of a special annual gathering that for years materialized Brigadoon-like on the prairie on the last weekend of each September, but will do so no more. And let me say right at the start: this post runs on for a bit, but there's simply no way to mention or do justice to so many people who are part of this event. I apologize in advance for not highlighting everyone's contributions in an appropriate manner. Why no more Keaton Celebration? A long-running festival closes up shop for many reasons. But to sum up: things change. 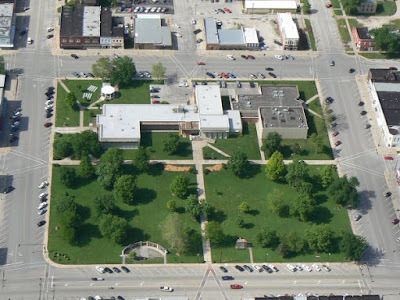 In this case, I understand a key factor was the future unavailability of the Bowlus Center, a marvelous arts venue that you wouldn't expect to find in a town the size of Iola, pop. 5,704. But the Bowlus has served as a terrific host for the Keaton Celebration since the very first one in 1993, according to an online history by co-founder Clyde Toland. The history, by the way, captures the upbeat spirit that got the Celebration going, and saw it quickly mushroom into an annual gathering that brought hundreds of people to Iola. That still happens. But I gather financial considerations have taken their toll behind the scenes, especially lately. One sign: after long being free and open to all, in recent year a registration fee has been charged for some of the programming. It's not my place to draw any conclusions in this area, other than to observe that such events take a lot of resources to pull off. And, alas, we are not in an age of generous financial support for arts-related activities. Even with the final curtain ready to fall, this year's Celebration was full of good cheer and fun right from the beginning. I wasn't sure what to expect, as a big part of the attraction and charm of this event, in my eyes, is its reliable predictability. Once a year, no matter what else happens, it's great to see old friends, make new ones, and know we'll see each other again next year. Curiously, that dynamic still seemed to be active, even without the promise of another actual Celebration. From the time I arrived, it was great to see everyone, and to make new friends such as well-known writers Scott Eyman and Lynn Kalber, with whom I had pizza the first night. I arrived on Thursday, in time to take in a pre-Celebration screening that evening of 'Bender,' a film about the notorious family of serial killers in 1870s Kansas. Karen, who as a young man worked with Keaton, is a long-time friend of the Celebration, frequently attending and sharing recollections and good cheer. Alas, he's now 93, and couldn't be on hand this year. But seeing him on screen, not in person, prompted thoughts of how few people are around now with any direct connection to Buster, who died in 1966. That's more than a half-century ago. And that's another factor in the arc of this Celebration's life. At the start, I don't think anyone imagined it would evolve into such a major deal, attracting fans and scholars from all around the country and, indeed, the globe. But it grew to where actual Keaton friends and family members began attending, lending the gatherings a richness and closeness to Buster that was truly unique in its spirit and scope. Now, time was inevitably fraying those threads. Yes, this year's attendees included Keaton's granddaughter Melissa, her mother (and Keaton's daughter-in-law) Barbara Talmadge, and nephew Harry Keaton, all of whom generously shared recollection of Buster and the family. 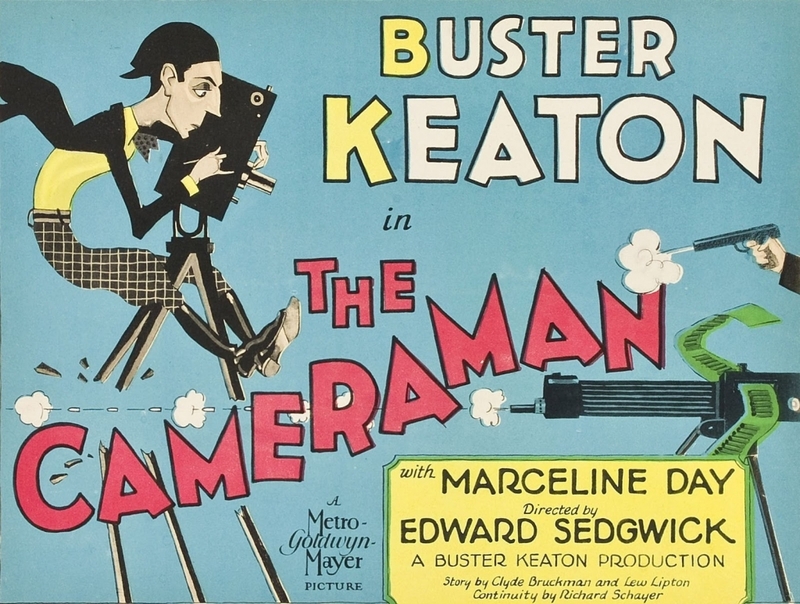 But the ranks of the Buster's direct acquaintances are thinning, thus dimming a unique aspect of the Keaton Celebration. Increasingly, it was a reunion that people weren't able to attend. Maybe this is how things work, I thought. New generations of fans need to find their own way to celebrate—but I'm getting ahead of myself. On Friday morning, I had to work (the curse of remote access) and so wasn't able to join the annual pilgrimage to Buster's actual birthplace: in Piqua (pronounced "Pick-way"), a rural crossroads a few miles west of Iola on Route 54. The house Buster where Buster made his first appearance (in 1895) is no longer standing. But the community boasts a Keaton museum, and each year it's been a tradition to open the Celebration with a visit and group picture. 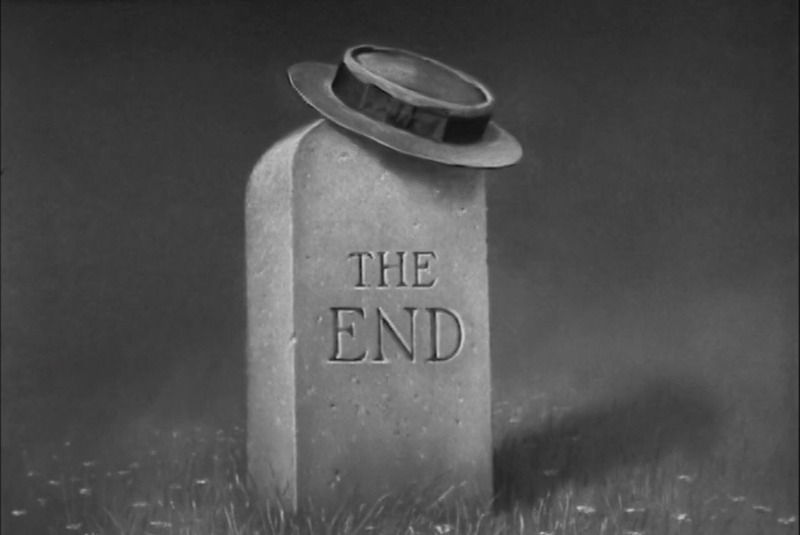 In terms of programming, past Celebrations often paired Keaton with other film stars as a jumping off point: Chaplin or Fatty Arbuckle, and sometimes less obvious choices such as television pioneer Ernie Kovacs. 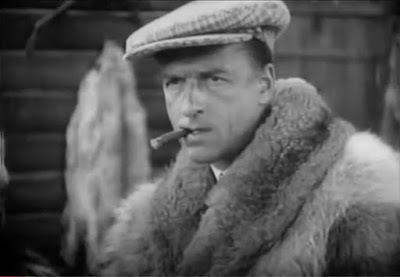 But this year's event, subtitled "Celebrating 100 Years of Laughter," was all Keaton. Programming was light on the on-stage forums and panels, and heavy on the movies. Consider: four full-length features, a half-dozen shorts, and other material that needed live music. Hence the need for three accompanists: me, the accomplished Ben Model of New York, and local stalwart Marvin Faulwell of Kansas City, a regular at silent film events in this part of the country. Three musicians: Ben Model, Marvin Faulwell, and me. It's funny: some people seem to think there's some kind of rivalry among accompanists, but that's not my experience at all. Rather, we seem to go out of our way to support one another. And I love events where more than one musician or group is on the program, as it provides a chance to hear how other people practice the craft and also to enjoy some film just like any other audience member. So for me, that was one of the best elements of the weekend: to hear music done by others live in a darkened theater. Let me take a moment now to tip my metaphorical hat to the crew at the Bowlus, who could not have been more helpful to me and the other musicians. And the tech crew were happy to let me in early to position the instrument, set up lights, position the lid, and run through some exercises to check volume levels and get a feel for the piano. At the Celebration's Friday afternoon opening, I had drawn the first film: 'The Butcher Boy' (1917), a Fatty Arbuckle two-reeler in which Keaton makes his very first screen appearance. So I was sitting at the keyboard during an opening video (done by Celebration organizer Keith Goering) welcoming everyone, and was surprised to find the recorded music used for it was an orchestral version of Chopin's well-known "Military Polonaise" for piano. Weird! It's exactly the piece I happen to be working on right now, and which I had been running though earlier just for practice. What are the odds? So I tried a few chords and the recording was in the same key, and the piano's tuning matched the orchestral pitch. So I was able to help kick things off with a little keyboard obbligato, playing along with the Chopin, which might have made me seem a much more competent musician than I really am. Well, a good start, anyway. After welcoming remarks, we went right into 'The Butcher Boy,' which I tried not to butcher. With a slapstick short like this, I tend to treat the piano like the percussion instrument that it is. For this film, as with the others, I used a couple of pre-planned themes to draw upon and improvise my way through the action. Buster's first appearance and his "molasses" routine with Arbuckle get all the attention, and deservedly so. But I think the second half, in which both Fatty and Al St. John impersonate young girls, is the best stuff in the picture. This was followed by 'Cops,' which Marvin accompanied on a digital keyboard he'd brought and which was hooked into the Bowlus sound system. Marvin did an inspired job with this familiar classic, and his keyboard settings often reminded me of the sound of the Mont Alto Motion Picture Orchestra, for years a mainstay of the Keaton Celebration but not on the program this year. I don't know if Marvin intended this as a tribute to the group, but it came off as an elegant one to me. And there the program rocketed right along. And maybe that's one reason why the Celebration was as much fun as always: there simply wasn't time to ponder the end. Soon Ben Model was at the keyboard, bringing to life the first feature of the weekend (and Keaton's first as well), 'Three Ages' (1923). Ben doesn't often use recognizable tunes in his scoring, as it can be argued that they take the audience out of the movie. I tend to agree with him. So when a Roman-era Keaton looks at his team of tired horses and imagines them in blankets labeled "Sparkplug," I was surprised, and very much delighted, when Ben launched into a spirited snippet of the old "Barney Google" novelty song. I'm not sure how many people would make the connection of Barney Google and Sparkplug, his hapless steed, but it really served to underline the joke effectively and make it pop. To me, it was great example of an accompanist knowing when to break his own self-imposed rules if the film and the circumstances of the joke, merited it. Nice! Ben's 'Three Ages' music earned a well-deserved ovation. But I thought he then topped it with improv music for a selection of rare Keaton clips that followed. Provided by archivist Rob Arkus, the collection started with silent-era materials that Ben brought to life quite effectively. It then transitioned into some later television-era clips. 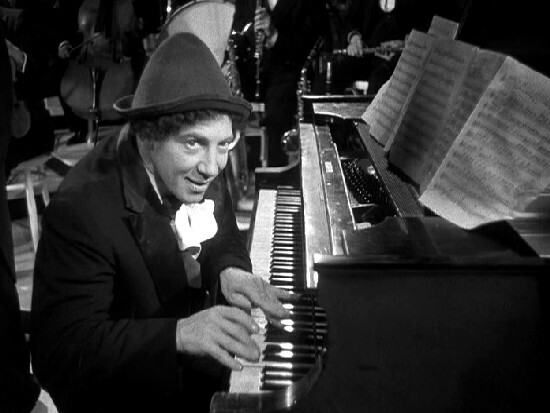 This part started with a sequence with an aging Keaton dancing the tango, and came with recorded sound, so Ben turned off the piano light. But the sound didn't come. So after a few moments of silence, Ben clicked the light back on and started tango-ing it up. And it worked really well—the audience, me included, roared at the sight of Keaton playing Valentino on the dance floor. Before long, the screen went dark as the tech crew attempted to access a different file that did have the soundtrack. And during this time, Ben had to do what all accompanists are fated to do, I think: entertain the crowd during "Please Stand By" technical difficulties. Talk about knowing your audience—there's probably no better way to endear one's self to a room of classic film buffs! But on Friday afternoon in Iola, Ben at least equaled that with ragtime that quickly evolved into a full-scale rendition of a tune some know as Gershwin's "Rialto Ripples," but which Keaton Celebration attendees immediately recognized as the Ernie Kovacs theme music. 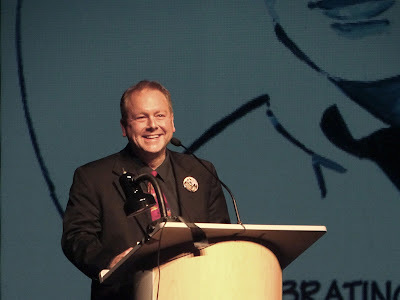 True Keaton fanatics, such as those those filled the Bowlus, appreciated with Kovacs connection and Ben's ties to his wife Edie Adams, so well-deserved cheers rang out. Nice! Funny thing was, when we got the tango-dancing Keaton with recorded sound, I found it not nearly as compelling as it was the first time around, with just acoustic music. And this wasn't because I'd already seen it—I genuinely sense it didn't work as well. Well, maybe there's something to the idea that Keaton's way of performing was so grounded in the silent era technique, that there really was something different about synchronized sound that diluted his effectiveness. So even what's regarded as "lesser" silent Keaton, such as 'Spite Marriage' (1929), is a different species (and perhaps on a different plane) than anything he did with synchronized sound, brilliant or otherwise. The silent medium just suited his comedy much better. More on 'Spite Marriage' below, as it was shown later in the Celebration. Dinner break found a big group of us crowding into El Charro, a Mexican place a few blocks up the street that's been a Keaton Celebration mainstay for many years. And it's worth mentioning here the important role that lunch and dinner breaks played at the Keaton Celebration. Chance encounters at the hotel, also—these are where you got to meet and chat with people who were likely to become lifetime friends. In Kurt Vonnegut's book 'Cat's Cradle' (1963), one of the tenets of a made-up religion is: "Peculiar traveling suggestions are dancing lessons from God." Well, in Iola, going out to eat with total strangers was the catalyst for discovering friends you didn't know you had. And it was, as we all tried the limited venues that Iola had to accommodate visitors: the B & B Cafe for breakfast (way too much food for $6); the vintage A&W restaurant (what, is it 1963 again? ); Rookie's Sports Bar (how many of you? ); Dudley's Done-Right BBQ (again, way too much food), and so many other familiar gathering places. I never thought life would get me to the point where I could made informed restaurant recommendations for Iola, Kansas. But if you're going through town, give me a call. Back at the Bowlus, Friday night was my big time at bat: doing music for Keaton's feature 'The Cameraman' (1928). This was a special assignment, I felt, for 'The Cameraman' was the film that got me back into silent film some years ago after a long absence. How? Because in the last days of winter in the year 2000, I made my way out to the Kansas Silent Film Festival (held each year in Topeka), primarily to hear the Mont Alto Motion Picture Orchestra perform live. 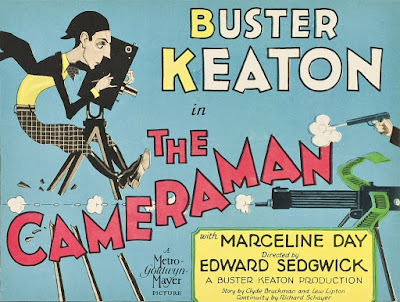 And the first film they played for was Keaton's 'Cameraman.' And that Saturday morning, all at once it seemed to triggered infinity and reignite something that had been dormant within me. What a film! 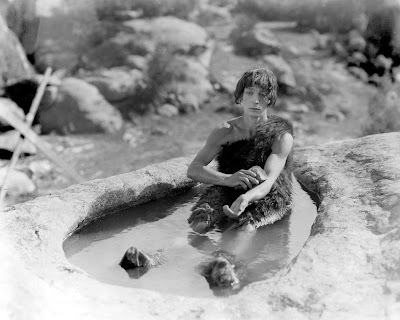 Made right at the end of the silent era, to me it was proof that the medium was still ripe for creative approaches that filmmakers were only just beginning to realize. What a celebration of possibility and creativity and so much else! And then the whole medium was gone. But what way to go out! And for me, Rodney Sauer and Mont Alto were a part of that. So here I was at the Bowlus, 17 years later, preparing to do 'The Cameraman.' And this seemed odd to me, as the Mont Alto group were a Keaton Celebration mainstay until recent years, when (I guess) tight budgets and other factors prevented them from attending. Well, off I went, and it all came together pretty well, I thought. It's hard to judge from the keyboard, but audience reaction was strong, and I felt the thematic material I was using made for some nice moments. At the film's ending, response was generous. Photographer Steve Friedman tried to engineer a shot from the stage with people applauding (presumably) behind me, but after the film the lights never came up in the Bowlus, so it'll be interesting to see what Friedman's blinding flash captured. Saturday brought a full day of Keaton films and forums. But musically, my heavy lifting was done. Ben and Marvin would do the features ('College' in the morning for Marvin, and 'Spite Marriage' for Ben that night). All I had was afternoon improv for more rare Keaton materials, these contributed by archivist Paul Gierucki. One surprise was to find that Ben wasn't too sure about 'Spite Marriage,' the Celebration's final Keaton feature. MGM released the film (Keaton's last silent) to theaters in 1929 with what's widely regarded as an annoying recorded score. So it's always had a reputation as "lesser" Keaton. In my efforts to work through the entire Keaton output, I had programmed 'Spite' some years ago with a "let's get this over with" attitude. To my surprise, the film killed! The audience, not aware they were seeing "lesser" anything, laughed uproariously at one comic set piece after another. My respect for the film increased. I related this to Ben, who seemed surprised. In his 30-plus years of doing film music, he'd never had a chance to accompany 'Spite Marriage,' and really wasn't sure how it would go over. Well, I hope I gave him at least some encouragement for that night's performance. For me, the big deal of Saturday was the first-ever screening of 'To Be Funny' (2017), a new documentary exploring the phenomenon of Keaton's continued popularity 100 years after his 'Butcher Boy' walk-on. Filmmakers Jess Roseboom and Gavin Rosenberg approached me several years ago about filming some of my New Hampshire performances and talking with audience members. So they came up, sat me down before a camera, and got me yakking. They then pursued the project at Keaton screenings and gatherings all across the nation, including a visit to Iola. They also came back to New Hampshire to film me presenting a Keaton program to students of Great Brook Middle School in Antrim, N.H.
After a Kickstarter campaign and a lot of other work, they'd finished the film. And now it was time to enter it into festivals and do all the things you can do with a documentary of this type. And as it turned out, the very first screening of the film would be here, at the very last Keaton Celebration at the Bowlus Center in Iola. I thought it was kind of poetic, in a way, that this final event would host the premiere of a documentary highlighting Keaton's enduring—indeed, growing—popularity. Because the filmmakers couldn't be there, they asked me to introduce it and say a few words. Introducing 'To Be Funny' onstage at the Bowlus. Photo by Carol Yoho. So I took the occasion to say it was an honor to present this film, as to me it showed that although the Keaton Celebration may be winding down, it was part of a larger continuity that would continue on, in part because of what had taken place in Iola. Everything has a season, and we should all take heart that the love for Keaton which brought so many people to Iola and to each other would continue to do so far into the future. Or something like that. And then I sat down to watch the film. And you know, you couldn't have asked for a better venue or occasion to screen this film. It looked great on the big Bowlus screen—razor sharp with vibrant colors, making the lingering landscape shots appear just gorgeous. And yes, everything in it seemed to validate all the energy and affection that had gone into staging the Keaton Celebration for lo these many years. It was a great summing up, with a hard spin to a hopeful future. Of course it was a kick to see the scenes they shot in Iola—the annual trip to Piqua, the group photo, and also the Mont Alto group playing for 'Battling Butler' back at the Bowlus. It was, frankly, mortifying to see my face 15 feet high on a screen and hear myself drone on. But they had questions, and I tried to answer them. I hope my appearance at least had the effect of making the other interviewees look smarter as a result. But any bumbling on my part was more than made up for, I felt, by the moments of community and shared passion that the filmmakers captured around the nation. I never thought watching shots of people who themselves were watching movies would be so—well, moving. But they were, and more than once I was honestly choked up by how it all came together for me—there, at the Bowlus, at the Keaton Celebration, immersed in an on-screen celebration of something that was so important to so many people all around me. What a great way to celebration the Celebration. Iola's huge town square, billed as "America's largest." What kind of people attend the Keaton Celebration? The kind of people who, when they find out it happens to be your 22nd wedding anniversary, insist on calling your wife back in New Hampshire to inform her that you're having a Chicago-style hotdog in honor of her hometown. 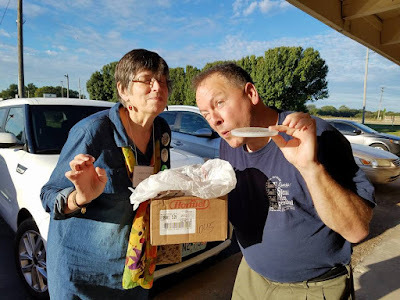 Carol Yoho and I sample Porubsky's hot pickles fresh from the cardboard box. Photo by Jane Bartholomew. These are the same people, by the way, who went all the way to Porubsky's Deli in Topeka (about two hours away) to bring me an order of their famous hot pickles, which I really enjoy. Thanks, Jane and Karl! And then the final evening program featuring 'Spite Marriage' with Ben at the keyboard. People roared at the movie. You could tell this rarely screened title was a discovery for many. What a great choice to end with! The final final film was a curiously truncated version of 'A Funny Thing Happened on the Way to the Forum' (1966), which was Buster's last big-screen appearance. But it worked, and we all laughed a lot. Then it was off the afterglow and more food and drinks and laughter, as always. And then I blinked, and suddenly it was Sunday morning. And it was over. Very clever of those Keaton Celebration folks—to pack the schedule with so much good stuff that there wasn't time to give in to feelings of sadness that were lurking just at the edges of this year's events. That potential sadness was the unspoken part. And how fitting, at this celebration honoring a silent film clown, for it to never get a chance to raise its voice at all. Thanks to everyone who over the years made it possible for so many people to come to Iola, Kansas and share our appreciate for Buster and his world. That world includes Iola, and in my mind it always will, Celebration or not.